The Big Slough Preserve is just east of the Carlton Reserve. From the Carlton Reserve parking area follow the South Powerline to the east for approximately 7 miles to the fence line. There is an open gate at the fence line. 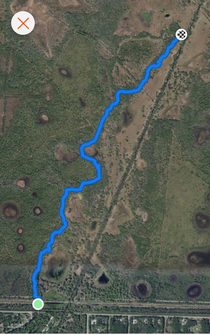 The Big Slough Preserve is also accessible from North Port via the pedestrian/bicycle/equestrian bridge at Myakkahatchee Creek Environmental Park. 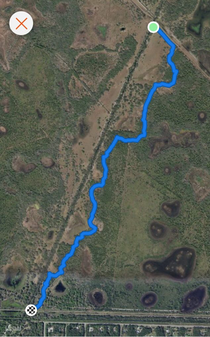 There are 52 miles of doubletrack trails and 15+ miles of singletrack trails in the Big Slough Preserve. POLR is now a loop. Live Long Return is a newly completed trail that creates a 10+ mile singletrack loop on the west side of the Big Slough Drainage. The loop consists of Live Long to POLR to POLR Return to Live Long Return. Here is the route of Live Long Return. Live Long and POLR are shown in other pictures. 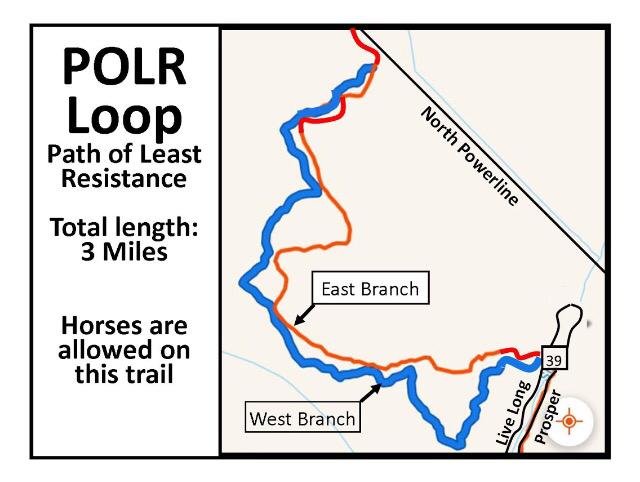 Prosper Return is a newly created singletrack trail that creates a 5+ mile loop when ridden in conjunction with Prosper. Prosper and Prosper Return are on the east side of the Big Slough drainage. They are accessible via the pedestrian bridge from MCEP. Here is an image of the route of Prosper Return. An image of Prosper is shown elsewhere.